We are located i mile north of Main Street in Belgrade. North on Jackrabbit Lane from Main Street, turn right on CruiserLane. Turn left on Spooner and you will see the buiding on your left after roughly 100'. From Interstate 90 take the Airway BLVD. Exit continuing past the airport on Service DR. road/Dry Creek Rd. for about 1.5 miles, turn lft on to Cruiser Ln. and immediately right on Spooner. 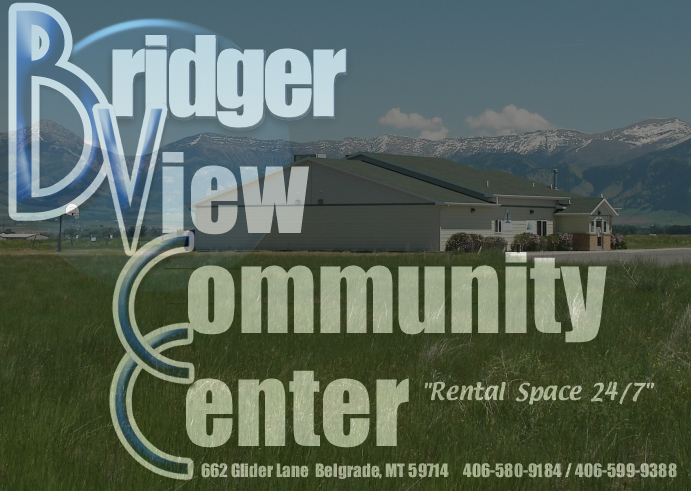 You will see the buiding on your left after roughly 100'.﻿ You can click the link below the map for driving directions to the Bridger View Event Center.